Diane Mott Davidson will sign and discuss The Whole Enchilada (William Morrow; $26.99). Dianne Mott Davidson, Sweet Revenge. Diane Mott Davidson reads from Crunch Time. Diane Mott Davidson reads from Fatally Flaky. Diane Mott Davidson discusses Fatally Flaky. Diane Mott Davidson , Fatally Flaky. Diane Mott Davidson was born in Honolulu, Hawaii, and grew up in Washington D.C and Virginia. She studied political science and art history at Stanford and Johns Hopkins Universities and is active in volunteer work. She lives in Evergreen, Colorado with her husband and three sons, where she divides her time between cooking and writing. 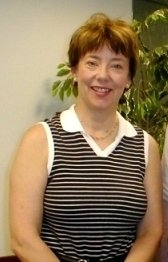 Diane Mott Davidson is currently considered a "single author." If one or more works are by a distinct, homonymous authors, go ahead and split the author. Diane Mott Davidson is composed of 10 names. You can examine and separate out names.